St Beuno's Church in Clynnog Fawr is the main shrine of St Beuno and is one of the most important churches in North Wales. Beuno was born in Powys, and became an active missionary under the protection of Cadfan, King of Gwynedd. Following a dispute with Cadwallon, King Cadfan's son and successor, Beuno was awarded the township of Clynnog Fawr where the saint founded his church in the early 7th century. The site developed into a monastery of some importance and Welsh law manuscripts say that the Abbot of Clynnog was entitled to a seat at the court of the King of Gwynedd. Capel y Bedd is his traditional burial place and excavations in the 20th Century discovered foundations beneath the present 16th Century Chapel that were possibly of the 7th Century. 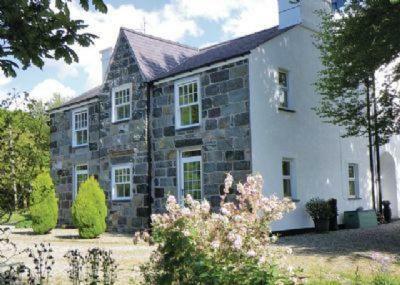 Walesdirectory.co.uk, where you can find where to go, what to see, and where to stay in Clynnog-fawr Wales.